When I was a few years deep into the Detroit hip hop scene in the early 2000s, I found that I was looking for something more. I followed the trail of music I was already listening to at the time from producers like Jay Dee, DJ Premier, Alchemist, and Madlib to a whole other facet that sought the same ideals as those names but brought in an interesting new vision. I had just discovered Dabrye, who was re-inventing the way hip-hop and electronic music came together, along with the whole Ghostly International label, that gave me an easy access in my own home area to electronic made music of all sorts. Through all of those discoveries led me to a radio show that opened the doors and the ears of people like me to music that pushed the electronic and soul boundaries across the globe; that show was Benji B's Deviation on BBC Radio 1xtra. After the likes of Eminem, Royce Da 5'9", and Slum Village had left their mark on hip-hop around the world, the music of Detroit from the early 2000s was slowly starting to pour out to the radios and iPods everywhere. It was someone like Benji B that became one of first to really bring together the long legacy of Detroit dance music along with the new classes of Detroit hip hop and electronic, all the while giving a place to where those worlds came together and wove it seamlessly with like-minded artists from all around the world. 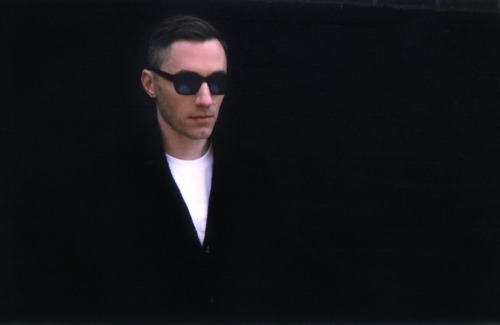 Detroit was a significant part of the music played on Deviation, but more importantly, Benji B showed Detroit's importance in all aspects of electronic based music from the past and present. Memories of just laying in my bed and the opening keys to The Detroit Experiment's "Higher" play, or the rhythmic sounds of a Theo Parrish remix, or the newest Jay Dee production, only coupled with the music that Benji B would break from new artists, made his show a weekly education. Music from a Benji B favorite like Detroit's own Waajeed was regularly played and offered some of his first worldwide exposure. There was even times when I used to mail a package full of Detroit records and CDs to the BBC Radio offices in care of Benji B, and he would end up playing a few of them on-air, and many instances that would actually end up being the first time (and for some the only time) they would get airplay outside of Detroit, let alone otuside the country. Benji B was mentored under another legendary BBC Radio DJ, Gilles Peterson, but Benji would soon have a vision that went beyond what Peterson was doing and championed music pushing intense boundaries to the radios and webcasts worldwide. Deviation was like a blueprint of the type of music that would become commonplace in the "beat scene" of Los Angeles, among other thriving producer-based music communities. Benji B never kept his show in a box, and respects the legacies that influenced the artists making this cutting edge music he would deliver to us each week. Anyone that has their toe in the water of any sort alternative, leftfield type electronic music and hip hop for over the past decade should owe a debt of gratitude towards DJs like Benji B. It's with their unmitigated passion to test the limits of music that we all have a place to listen, make, and share all the wonderful art that we love. Good music will always be here to stay as long as we continue to have people to fight for it. Benji B now airs "The Benji B Show" on BBC Radio 1 and does regular Deviation club nights around the globe. Benji B is bringing the Deviation club night to Detroit on Saturday, March 8th at the TV Bar (2548 Grand River) with special guests Kenny Dope, Dam-Funk, and Waajeed as a part of the Red Bull Music Academy Bass Camp Detroit. For more information on Red Bull Music Academy's Bass Camp Detroit, visit redbullmusicacademy.com.